What Is The Illinois Survival Act? Most people have a rather general idea what a wrongful death lawsuit is. A wrongful death in Illinois is a death caused by another person’s negligence. With the help of a Chicago wrongful death lawyer, a claim can be brought by the survivors of the deceased against the individual whose negligence allegedly caused the death, even if there was no intent or premeditation. The Illinois Wrongful Death Act gives the surviving family members of wrongful death victims the legal right to recover the financial compensation they need to move forward with their lives after a wrongful death strikes a family. Historically, however, a victim’s own right to sue for damages evaporated upon his or her death. This reality sometimes led to financial hardships for surviving family members, who might be responsible for the victim’s final medical and funeral costs but had no legal way to claim reimbursement for those costs. In response to families in such circumstances, lawmakers in our state passed the Illinois Survival Act. The Illinois Survival Act permits a deceased person’s estate to recover those damages that the deceased person may have recovered if he or she had not passed away. HOW ARE THE SURVIVAL ACT AND THE WRONGFUL DEATH ACT DIFFERENT? The Illinois Survival Act and the Illinois Wrongful Death Act can both be used to help the surviving family members of wrongful death victims, but the two statutes have different functions and work in different ways, so if you lose a loved one unexpectedly, you may need to know the distinction. The Illinois Wrongful Death Act allows a decedent’s next of kin to sue an at-fault party for damages suffered by family members as a result of a loved one’s death. Such damages can include a decedent’s share of the household income, emotional support, loss of companionship, and for surviving spouses, loss of consortium. Unlike the Illinois Wrongful Death Act, which recognizes the legal rights of surviving family members, the Illinois Survival Act is not concerned directly with the survivors but only with the victim of a wrongful death. The Survival Act preserves the deceased person’s right to pursue a legal claim even beyond that person’s death. To take advantage of the Illinois Survival Act, the wrongful death victim’s surviving family members must first establish an estate on behalf of the decedent. WHAT CAN A DECEDENT’S ESTATE OBTAIN WITH A SURVIVAL CLAIM? In Illinois, the executor of the decedent’s estate will be appointed by the probate court. The executor may then file a claim under the Illinois Survival Act to recover damages that the decedent would have claimed if the decedent had survived, including compensation for all medical expenses, lost earnings, and related losses from the time of the fatal accident through the time of death. The decedent’s estate may also receive reimbursement for funeral and burial or cremation costs. Additionally, if the wrongful death victim was a plaintiff at the time of the wrongful death in any pending personal injury, discrimination, or defamation lawsuit in the state of Illinois, his or her estate may continue to press that claim under the Illinois Survival Act. 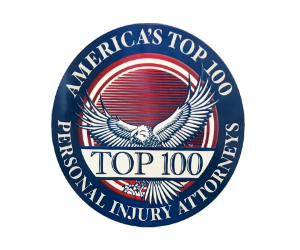 However, compensation for a decedent’s pain, suffering, and emotional distress are not made available through the Survival Act. Stated simply, the Illinois Wrongful Death Act allows survivors to recover the family’s damages, while the Illinois Survival Act allows a decedent’s estate to recover the decedent’s damages. To receive all of the compensation available to an Illinois family after a wrongful death, surviving family members may choose to take advantage of both the Illinois Wrongful Death Act and the Illinois Survival Act. However, under either statute, family members must demonstrate that their loved one’s death was a wrongful death caused by negligence. Many wrongful death lawsuits are triggered by fatal traffic crashes caused by careless and negligent drivers, but wrongful deaths also happen in a variety of scenarios. If a doctor fails to diagnose a patient’s kidney disease, or if a landlord fails to replace or repair a dilapidated stairway, a wrongful death could occur. Families need time to grieve and heal after losing a loved one, but after a wrongful death, they also need immediate and sound legal advice. When a survival claim is filed on a decedent’s behalf, any damages obtained belong to the estate and are used to satisfy the deceased person’s creditors. In some cases, survivors might choose to forego a survival action, especially if the compensation available to the estate is limited, such as a modest auto insurance policy. Because every family’s circumstances will be different, having the expertise and insights of an experienced Chicago wrongful death attorney is imperative. IS THERE A TIME LIMIT FOR WRONGFUL DEATH AND SURVIVAL CLAIMS? In 2015, an Illinois appeals court determined that this state’s two-year statute of limitations – the amount of time you have to file a lawsuit – begins on the date of the wrongful death for both wrongful death lawsuits and survival claims. Who can file a wrongful death lawsuit in Illinois? Survivors entitled to pursue a wrongful death action are the “next of kin,” a spouse or a blood-related family member who would routinely and automatically inherit from a decedent if the decedent died without a will (or in legal terms, died “intestate”). Clearly, when someone loses a beloved family member through a wrongful death, no sum or amount will assuage the pain, but wrongful death and survival claims can help the survivors satisfy their immediate financial obligations and avoid potential hardship. Wrongful death and survival claims can also hold accountable the person or persons whose negligence caused the wrongful death. Although it will be difficult at a time of grieving, in the greater Chicago area, it is imperative to speak with an experienced Chicago wrongful death attorney as swiftly as you can if your own family suffers the wrongful death of a loved one. Can An Expert Witness Help With My Chicago Wrongful Death Claim? What is Loss of Consortium Worth? When Can A Landlord Be Held Liable For Tenant Personal Injuries?